The 14th World Chess Champion Vladimir Kramnik has announced his retirement from chess at the age of 43. According to Chess 24, his last professional game was a loss to Sam Shankland in Wijk aan Zee, but the decision had been taken a couple of months earlier. 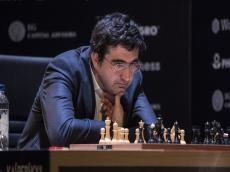 Kramnik says his “chess player motivation has dropped significantly in recent months” and he now wants to focus on projects “in the field of chess for children and education”. “I already decided to finish my professional chess career a couple of months ago and now, after having played my last tournament, I would like to announce it publicly,” he said.